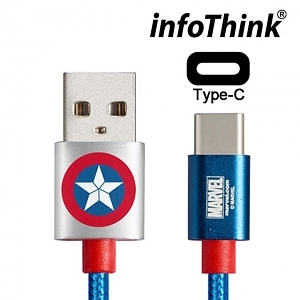 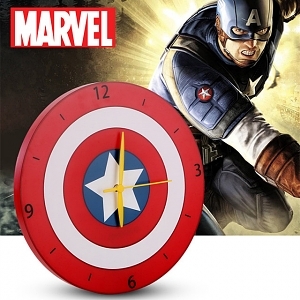 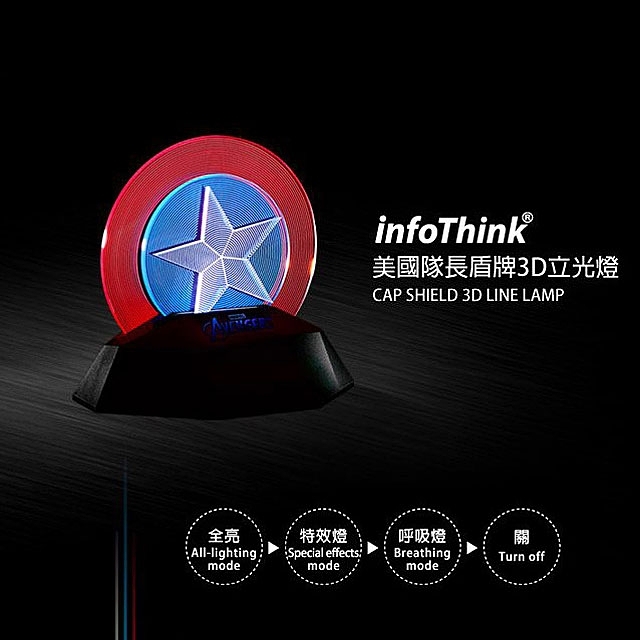 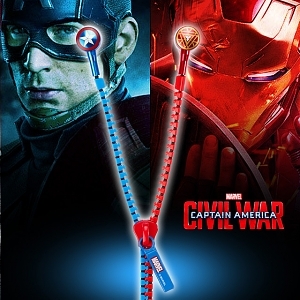 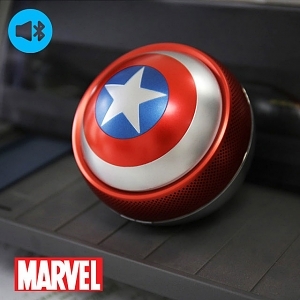 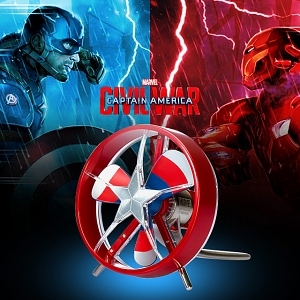 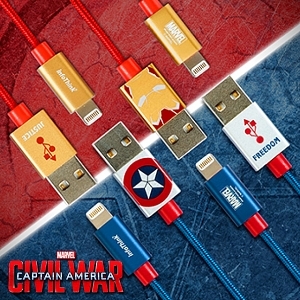 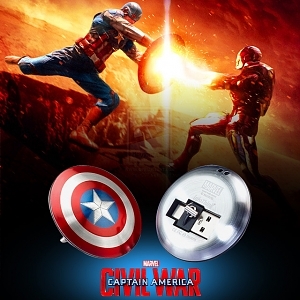 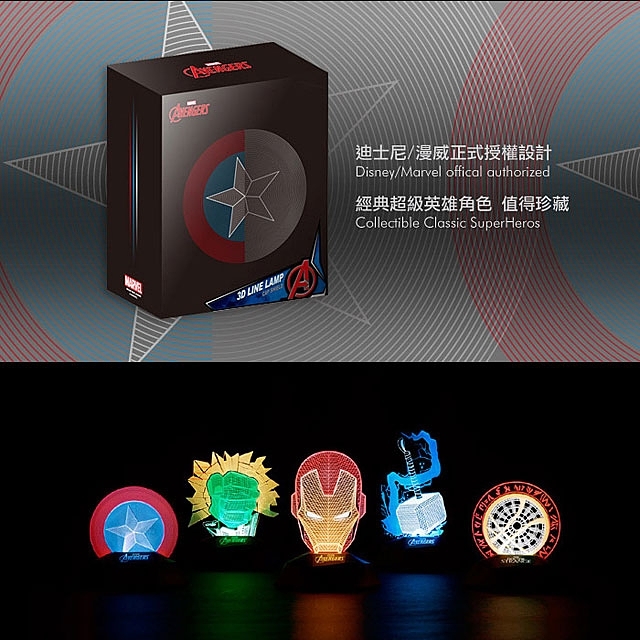 infoThink Cap Shield 3D Line Lamp designs as Captain America - Cap Shield shape. 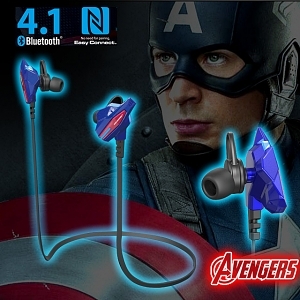 Built-in 3 multiple modes (All-Lighting Mode, Special Effects Mode and Breathing Mode). 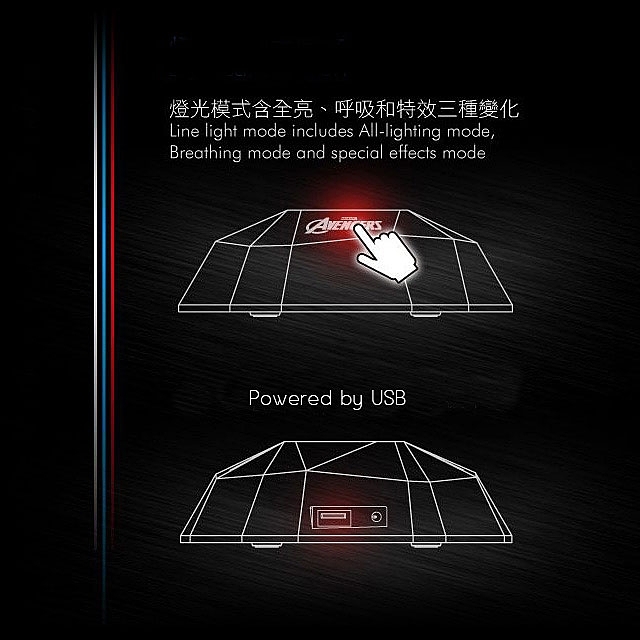 3 pieces of Light-guide-Plate to present 3D line lamp effects. 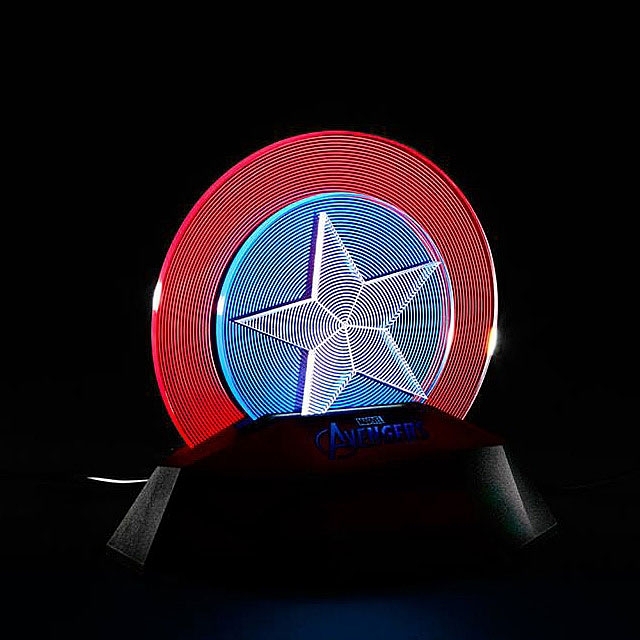 Touch the logo to turn On/Off the lamp. 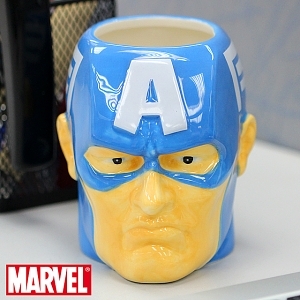 It is another funny stuff on your home/office.